In a survey published earlier in 2018 by the US News & World Report, the global authority in rankings and consumer advice, Mediterranean diet ranks once again as a Best Diet Overall, tying for the No. 1 spot with the DASH Diet. What’s the secret to Mediterranean diet that has led to its crowning once again? Perhaps one of the world’s healthiest dietary patterns, Mediterranean diet is a popular dietary style common in such southern European countries as Greece, Spain, France and southern Italy on the Mediterranean coast. It is known for its abundance in greens, fruits, fish, whole grains, legumes and olive oil. 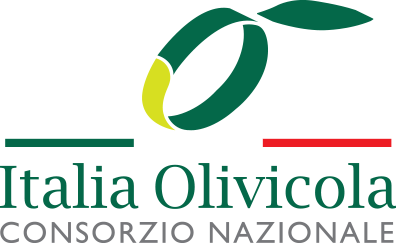 Among them, olive oil forms the cornerstone of Mediterranean cuisines. Extra virgin olive oil, whether used for cooking, salad dressings or dips, is a major source of antioxidants and monounsaturated fats and is known to effectively reduce the risk of cardiovascular disease and conduces to a healthy heart and improved brain function. The Mediterranean diet pyramid champions an abundant intake of vegetables, fruits, legumes, nuts, and olive oil. In addition, it recommends moderate consumption of fish, poultry and red wine, but low consumption of red meat, salt and sugar. Below we introduce you to a few Mediterranean recipes containing olive oil that are easy to make and are sure to delight your taste buds. Hollow out the mushrooms to make space for the filling. Instead of throwing the mushroom centres away, finely chop them and put them in a pan with the ham and bacon, then fry until slightly crunchy. Line a pan with baking paper and put the hollowed-out mushrooms in it. Fill the mushrooms with the fried mixture, adding a small piece of blue cheese and a little grated cheese. Bake for 20–30 minutes at 180 degrees. Heat a bit of oil in a saucepan and fry the mackerel in it. Fry one side until cooked for around 4 minutes then flip to the other side. Dice the tomatoes and onions, add the herbs, and mix them with olive oil, squeeze in the lemon juice, mix well. Ladle all the mixed vegetables onto the fried mackerel and serve hot. 1. Soak the chickpeas overnight. On the next day, add water and a bit of salt to the chickpeas and boil the mixture for about 10 minutes. 2. Mix all the salad dressing ingredients and adjust the level of sourness according to your personal preference. 3. Cut all the vegetables and add to the chickpeas and mix. 4. Pour in the salad dressing, sprinkle with cheese, and mix evenly to serve.